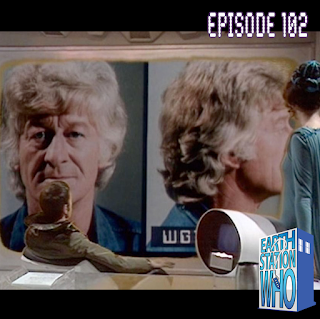 Did Mike, Mike, Mary and Nathan Laws really watch a classic Third Doctor story about an intergalactic war between Earth forces and the Draconians, or was it merely a hallucination? In any case, it is reassuring to know that H.G. Wells is still popular in the 26th century. Plus, we chat with Matthew Kresal about the upcoming Con Kasterborous in Huntsville, AL. 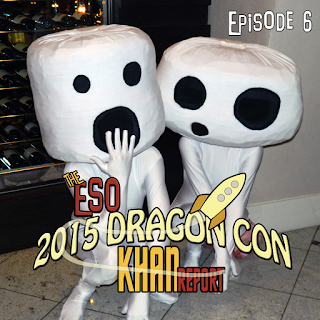 There’s a little over two months left until Dragon Con 2015. Yes folks, the sh*t just got real! Mike, Mike, Darren, and Mary Lou Who are here to help with the latest news and announcements. Michelle Biddix-Simmons offers encouraging words for those who may have hit a wall. Eternal Zan has updates on hotel info. Bewitched Raven takes us behind the scenes of group photo shoots. And we are honored to be joined by Rain Glynn, director of the Space Track, who informs us that not all the Dragon Con stars are found in the Walk of Fame.